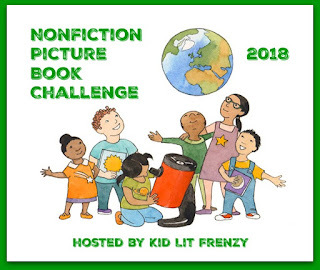 kidlit bloggers to share wonderful nonfiction picture books. with students to promote a love of reading nonfiction materials. Meta nonfiction? Semi nonfiction? I'm not sure how to categorize some of these books, but I know there is factual information within the information. These books typically read like a fiction book, but there's not quite the story inside the story. These books typically have fictional elements to them, but the purpose of them is to give information. they are full of factual information... often in a humorous way. Or embedded within a storyline. I would love to see teachers use them to show students how to pull fact from fiction and how to teach kids to be discriminatory readers - how do they know the information is true? Both of these books are funny, I laughed out loud more than once! And there are interesting facts in both. Kids are never going to forget what they learn about a hippo going to the bathroom and they'll always remember the polar bear getting a seal for food. I like that young readers will be learning as they read these books, but I also think these books provide a great opportunity to teach kids how to sift through fact and fiction and what to do when they don't know. published by Henry Holt and Co. I shared this book earlier this year. I've since read it with groups of students and it was a hit. I will say one of the biggest thing that stuck with them is the humor and not as much the facts. I think this is important to note. We don't want to use only this kind of nonfiction (ish?) writing for students, lest they are not exposed to the great nonfiction books we have available! 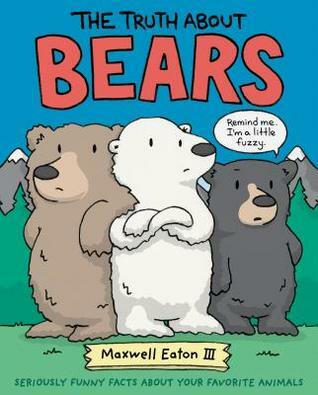 There is also some fiction books that are adding pieces of nonfiction into the story. Check out this one to learn some interesting facts about rocks. 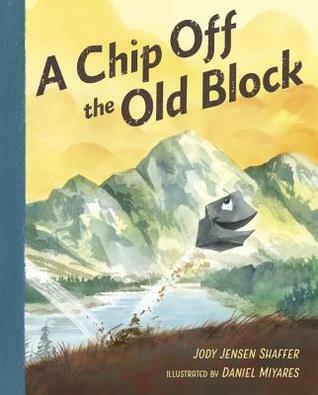 This one has a fun story that embeds facts about rocks and different rock formations from around the world. I like how the author takes time in the end notes of the book to add more facts that go along with the pieces that were scattered throughout the story. There are facts about the kinds of rocks and information about all of the famous rock formations that are mentioned. And if you're studying language, there are a lot of puns to tickle your funny bone! I think all of these books have a place in classroom libraries and in read aloud selections. Besides giving readers some information, they can also be used as mentor texts to show kids how to be discriminatory readers. Happy nonfiction... fiction..... reading! You've made good points, Michele. I do question about a book sometimes, whether to share it here, or not. 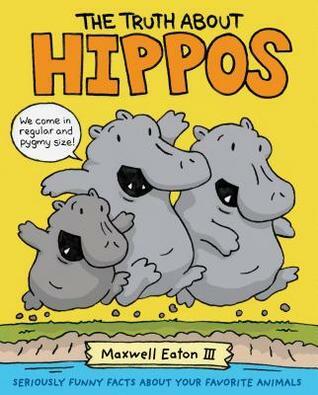 I've seen about the hippo book, for instance, and didn't know it even had any facts! 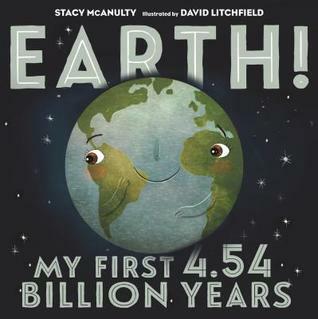 I loved Earth, seemed a bit more straightforward, but the Earth tells the facts, so fictionalized. I will look for A Chip Off The Old Block, new to me! 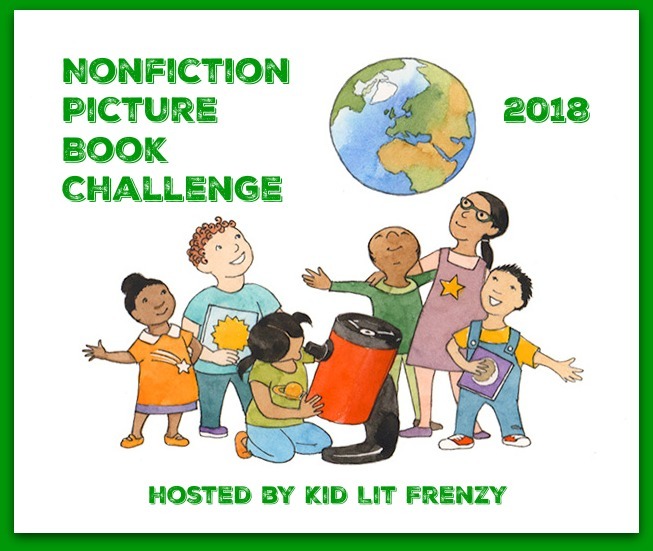 I do love these sorts of fiction/nonfiction hybrid, they can be a great gateway into nonfiction for kids who are convinced that nonfiction = dry and boring!! But it can be a challenge sometimes, especially with biographies, for kids to separate fact from artistic interpretation. I love your point that this can be a great way to distinguish between fiction and nonfiction. I'd love to be a fly on the wall to hear the kinds of questions that nudge kids to understand that distinction. I have seen most of these in our store but haven't read any of these. Will check them out eventually.